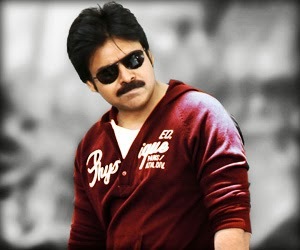 Home / Movie News / Pawan Kalyan / Pawan Kalyan joins Twitter!! Could anyone believe the fact that Pawan Kalyan is now active on social networking site Twitter? The unexpected has just happened! Yes, The Iconic Actor joined Twitter Today to make his presence felt on the digital world! In his first tweet, Pawan Kalyan conveyed New Year wishes to everyone irrespective of caste, creed and religion. "Wishing you all a very Happy New Year! Peace and Good Health," he wrote. Producer Sharath Marar confirms @PawanKalyan is the official Twitter handle of his good friend Pawan Kalyan. In an interview prior to the release of 'Panjaa', Pawan Kalyan questioned what will be the use of posting information regarding everything that's been done by an individual in a particular day on Twitter. For some reason, The actor-turned-politician has had a change of mind at last and expect him to do some productive work using the social media platform. Currently, Hashtag #PawanKalyanOnTwitter is trending Worldwide at 7th place and it is at 5th Place in India. Within just 1 hour, The count of Followers surpassed 8,000-mark! Records Are Meant To Be Broken - Isn't That True?